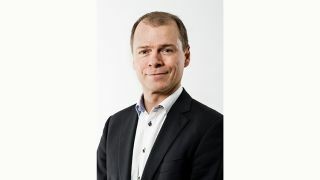 Kalle Hvidt Nielsen, incoming CEO for DPA Microphones DPA Microphones has announced Kalle Hvidt Nielsen will become the company’s new chief executive officer on September 1, 2016. At this time, Nielsen will succeed interim CEO, Thorsten Reuber, who has managed the company since January 25, 2016. Nielsen is accustomed to heading up companies that focus on high-quality solutions and cutting-edge technologies. He brings more than 15 years of experience in directing technology-focused Danish companies. Nielsen comes to DPA Microphones from Topsil Semiconductor Materials, where he has held the CEO position since 2011. Previously, Nielsen occupied CEO positions at Bang & Olufsen and Brüel & Kjær Sound & Vibration Measurement. During his time at the latter two companies, he gained extensive knowledge of running businesses in the high-quality audio business, which will bring value to DPA.